Turkey is a nation of diverse cultural connections. From Ancient Greek to Ottoman empire, Turkey has it all. The famous Bosphorus Strait, Iconic Hagia Sophia, Topkapi Palace and the Blue mosque are just a few of the attractions that Turkey has to offer and not to forget, the amazing retail therapy it offers. So what are you waiting for? Grab your passport and fly to Turkey, while TCE takes care of your money matters. 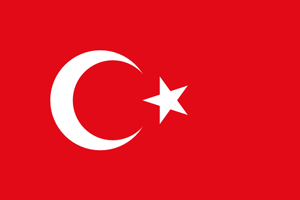 The Turkey Lira is the official currency of Turkey and the Turkish Republic of Northern Cyprus. The code is TRY and the sign is ₺. Each Lira is subdivided into 100 kurus. TCE has the best exchange rates, unavailable in any other bank or exchange bureau in Canada. Our customers never overpay as there are no hidden charges. TCE values time and bearing this in mind, we offer our customers an online ordering facility. You just have to make an online payment using your Interac debit card and pick up your currency from any of our stores. With the option of home delivery, your currency gets delivered through Canada post at your doorstep and that too, within two business days.